Subtitled, Resonant Aspects of Modern Science and the Gurdjieff Teaching, this revised and redesigned second edition of Man. A Three-brained Being aligns with neuroscientist Paul MacLean’s triune brain, and discusses consciousness as the coalition of images. In addition there is an expanded chapter on the digestion of food, air and impressions as a metaphor for human transformation. 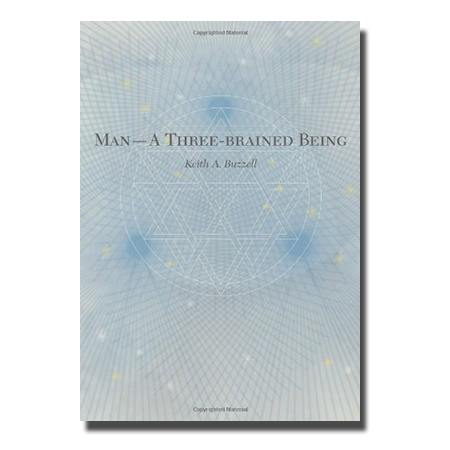 Dr. Buzzell has undertaken to reconcile the insights of modern neurophysiology & scientific cosmology with Gurdjieff’s “man as a three brained being”. 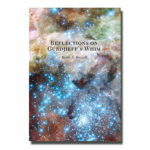 “During the years since the first edition of this text, the penetration of the technological applications of quantum mechanics and relativity theory into the life of the planet has continued to accelerate. In 2007, there are in excess of two and a half billion cell phones in use and the life of the Earth is exposed to a trillion times more electromagnetic radiations than life was a hundred and fifty years ago.The biological consequences of these developments are only fragmentarily known. The mobile phone market alone is a multi-billion dollar enterprise. Industry has flooded our world with gadgets-from MP3s, motorized Legos and multimedia systems to iPods, iPhones, Blackberries and Play Stations. Events taking place ten thousand miles away now influence stock market prices within minutes. Tragedies occurring on the other side of the Earth (over which we have no control) can impact, in minutes, our personal, emotional world and dramatically affect our family relationships. Where mountains and oceans once separated us in time and space, we live in a world of near instantaneous ‘times’, within ‘spaces’ that provide little, if any separation. Our biologically determined triune-brain functions have become, over this ten-year period, even more unable to reconcile these disparities.